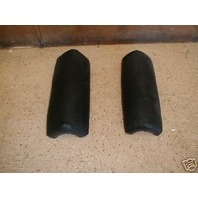 YOU ARE BIDDING ON A NEW 2 PIECE ARM REST CUSHION ASSEMBLY FOR CATERPILLAR MACHINES. 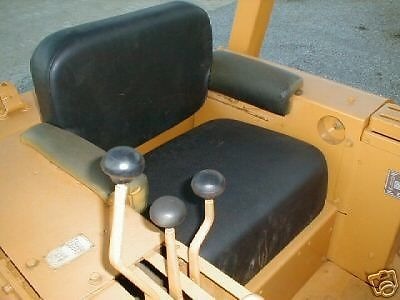 THESE ARE IN NEW CONDITION THEY WE NOT MANUFACTURED BY CATERPILLAR BUT WE MADE TO REPLACE THE ORIGINAL CUSHIONS. 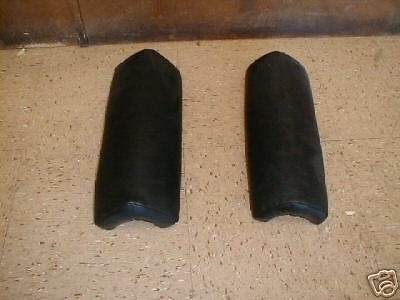 THESE ARM RESTS GO ON THE FOLLOWING MACHINES: 933 (11A), 977 977K 977L (20A, 70J, 11K, 76H, 53A, 48J, 46H, 48J) D4C (42A), D6B (57A), 951B 951C (15F, 69H, 78J, 86J, 79H,32F), 955H 955K 955L ( 53H, 12A, 45A, 48H, 71J, 85J, 61H, 31J, 64J 13X) 941( 70H, 80H), 120 ( 26A), 983(38K) as well as many others. 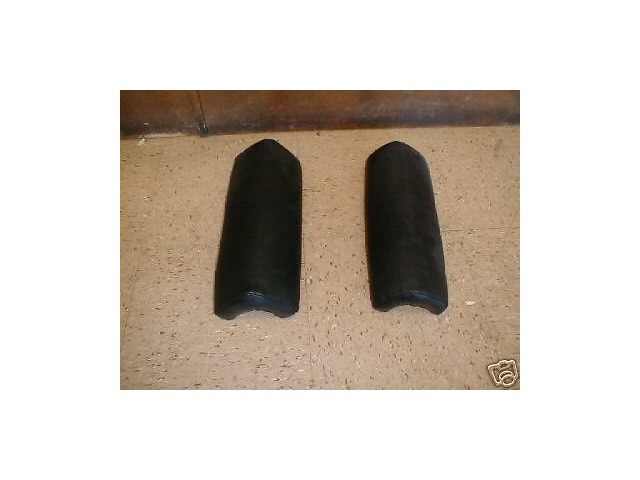 Each auction is for a pair of arm rests...bid on quantity of 1 ...get 2 arm rests. If unsure, call us. BECAUSE OVER TIME SEATS CAN BE CHANGED PLEASE REFER TO THE PHOTOS TO MAKE SURE YOUR SEAT IN THE SAME STYLE. 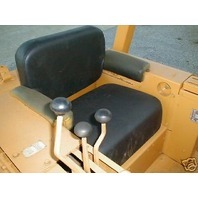 IF YOU HAVE A SEAT WITH MECHANICAL SUSPENSION CONTACT SELLER, WE HAVE THOSE AVAILABLE AS WELL. PART NUMBERS FOR THE CUSHIONS ARE AVALIABLE UPON REQUEST. YOU CAN IMAGINE WHAT A REDICULOUS PRICE CATERPILLAR CHARGES FOR THESE CUSHIONS. THIS IS YOUR CHANCE TO MAKE YOUR SEAT LIKE NEW FOR A REASONABLE PRICE. SHIPPING VIA UPS GROUND, INSURED, WITH TRACKING NUMBER. OTHER DELIVERY METHODS AVALIABLE UPON REQUEST. IF YOU WOULD LIKE INDIVIDUAL CUSHIONS, PLEASE CONTACT US. WE CAN SELL YOU JUST WHAT YOU NEED. EMAIL us OR CALL TOLL FREE 866-507-2787 AND ASK FOR HAL IN EBAY SALES. SHIPPING TO CONFIRMED ADDRESSES WHEN PAYING VIA PAYPAL. CHECKS AND MONEY ORDERS ACCEPTED AS WELL. SHIPPING WHEN FUNDS ARE CLEARED. PAYMENT EXPECTED WITHIN 7 DAYS OF END OF AUCTION. WE PREFER PAYPAL, BUT CAN WORK WITH YOU ON PAYMENT METHODS IF YOU NEED. WE HAVE A COMPLETE LINE OF REPLACEMENT PARTS FOR CATERPILLAR, CASE, DEERE AND KOMATSU MACHINES. CALL US FOR YOUR OTHER NEEDS.